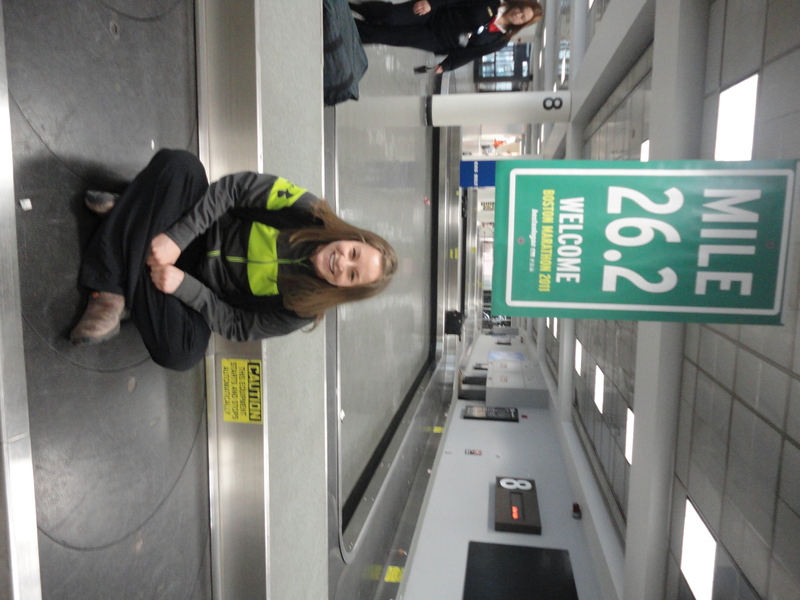 Katrina riding the baggage claim! It was inspired by the success of the first modern-day marathon competition in the 1896 Summer Olympics and began in 1897. It falls on the third Monday in April, otherwise known as Patriot’s Day. It’s the world’s oldest annual marathon and ranks as one of the world’s best-known road racing events! Back in 1897 this race started out with about 18 participants but had 26,895 signed up at the most recent event on April 18th, 2011. And I was one of them, along with one of our Team Fight coaches, Mike Lombardo! I have always considered myself a runner, maybe not a great one, but always a runner. I took time off of the longer distance stuff in college to play lacrosse, but knew I wanted to immediately get back into it as soon as my college ‘career’ was over. Fast forward to my second marathon in good ol’ B-more last fall, and at about mile 9 after a quick port o pot stop, I started doing some calculations in my head and realized that qualifying for Boston was quite possible. I kept it in the back of my mind but didn’t let it take over my race strategy. Needless to say I was more than overjoyed, surprised, and in shock when I crossed the finish line at 3:37:58 (I needed a 3:40 to qualify)! Helloooo Boston! 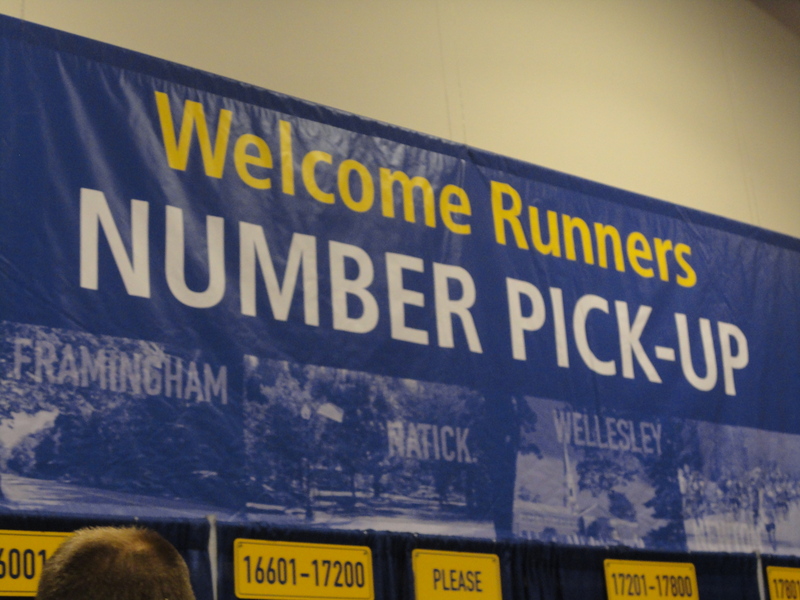 Everyone says that Boston is an amazing race and that it’s a must if you qualify. But it really just doesn’t do the race justice until you experience it first-hand. I get chills just reminiscing about this past weekend. 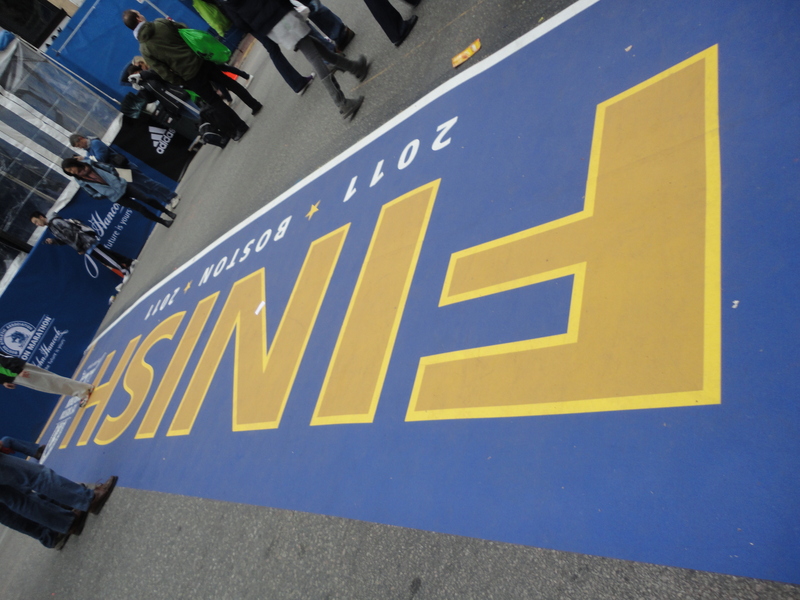 Everything from experiencing the city of Boston to completing the race, there are no words!!! The crowds are unlike any other race, running or triathlon, I have ever seen. For the entire 26.2 miles, there isn’t a dead spot! The cheering, the noise, the energy: IT’S CONSTANT and it’s AMAZING! You are just a sponge for the energy of the crowds and the caliber of runners that are racing. You see people walking around in their official marathon jackets from the current year all the way back to the early 90’s. You realize quickly that you are in the presence of some amazing seasoned runners! The course itself isn’t the easiest course either. The first 16 miles are downhill, which are great, but not when you follow it up with 6 miles of rolling uphills (otherwise known as the Newton Hills). It makes for an interesting last 5 or 6 miles of the race! I hit the wall at about mile 22 and really had to take it mile by mile after that, but those Boston crowds totally pulled me through! I finished with a 3:39:04! Although I think I left my quads in Boston, I wouldn’t change a minute of it! I feel lucky and honored to have participated, and FINISHED, the race this year. I just hope to be back again some day! Thank you Boston! This entry was posted in Events, Team Fight and tagged Boston Marathon, Katrina McGowan, Marathon, running, Team Fight, UCF, Ulman Cancer Fund, Ulman Cancer Fund for Young Adults. Bookmark the permalink.